When buying your groceries, in order to get the best prices you go to the supermarket because you have a wide range of products to choose from and you can get the best deals. The same thing should happen when you book your holiday or flight: you should be able to compare and select the most convenient packages. 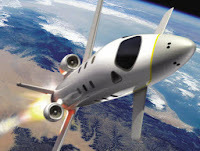 Travelgrove.com is a meta search engine which offers you the benefits of a travel online supermarket: search for your hotel according to location, amenities, name or price before booking. Once you are happy with all these aspects you can book your room. For a cruise vacation all you have to do is select the cruise line, the length of your cruise, a destination of your choice and the month and a couple of seconds later you can book the cruise of your dreams. The website also highlights the hot deals of the day and will lead you into the temptation of discovering new places. For vacation packages, Travelgrove offers you the opportunity to search recommended sites like Opodo, Expedia or Lastminute and compare the prices. If you do not know much about a destination, visit the "Travel guides" section of the site to read about it. For travel tips access the website forum and interact with other users who share their experiences or who might need your help or recommendation. If you want to feel that your holiday is sending shivers down your spine, a trip to Transylvania is the right thing to do (Halloween is almost here anyway). You can land either in the heart of Transylvania (an airport of choice could be Cluj Napoca or Targu Mures) or in Bucharest then start your trip armed with a cross and some garlic. Targu Mures is closer to Sighisoara, the place where Vlad The Impaler (aka Dracula) was born. The town also has a nice medieval citadel and legends say that you can find there the house of the last hangman (who used to work in the citadel) which recently has been restored and turned into a peaceful (and hopefully not haunted) library. Not far from Targu Mures there is the village of Bezid - it has a huge lake which entirely covered the village - all the inhabitants had to leave their houses and move. You can still see the drowned houses under the water and the church steeple sticking out of the waters. 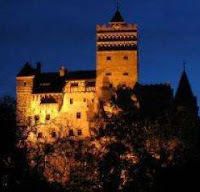 Your next holiday stop should be Sighisoara - a UNESCO World Heritage Site, one of its famous residents was Vlad Dracu. The citadel built in the 12th century includes the house where it is believed that Vlad Dracu was born, a Weapon Museum and a torture chamber. For a bit of a Gothic peace head up to the Church on the Hill by climbing the Covered Staircase (there are around 300 stairs to climb). From Sighisoara head south and after about 120 km you will reach Bran where you can visit Dracula's Castle in Bran (built in the 13th century). You can go to a Halloween party (which are organised mainly for tourists since most locals do not have much time to party, being too busy and tired with agricultural work) or buy some souvenirs (Dracula mugs, Matryoshka dolls which are not at all Transylvanian and strong plum brandy called palinca). If you survive Halloween night you can head south to Bucharest and visit the Palace of the Parliament, one of the largest buildings in the world.